The protest turned violence in and out of Aligarh Muslim University over a Pakistan founder Muhammed Ali Jinnah's missing portrait from the students union hall has triggered never-ending controversy over the matter. Recently Bharatiya Janata Party (BJP) MP Savitri Bai Phule making a remark on Jinnah said Muhammad Ali Jinnah was a "mahapurush (great man)" who contributed to India's freedom struggle. BJP lawmaker also said that Jinnah's portrait is on the Lok Sabha walls inside Parliament House and "should find a place wherever required". "Jinnah was a great man, he fought for the nation. Jinnah's portrait features on the walls of Lok Sabha. He should be remembered respectfully; his portraits should find a place wherever required. Controversy being created to divert focus from Dalit issues, I don't agree with all this," the parliamentarian from the ruling party from Uttar Pradesh's Bahraich said on Thursday. "Be it from any caste or religion, people laid sacrifices for the nation to attain independence. Such great men must be respected. All those who sacrificed for the nation's independence must be respected," she asserted. According to the university, Jinnah's portrait had been there for decades since he was a founder member of the university court and had been given life membership of the union 80 years ago. The missing Jinnah portrait triggered a clashes between some groups backed by police and students leaving at least 41 injured including students and cops. 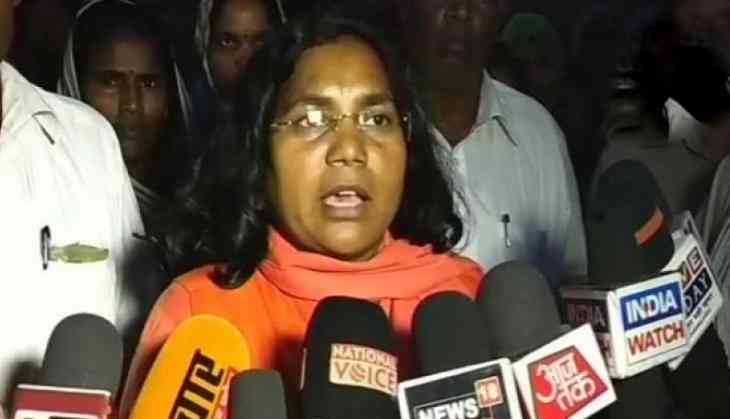 BJP MP Savitri Bai Phule earlier targeted her own party governments at the Centre and in Uttar Pradesh over their party lawmaker's treatment of Dalits. She was strongly critical of the BJP's dinner-with-Dalits outreach.